How do you celebrate the National Museum of Singapore‘s Children’s Season event? 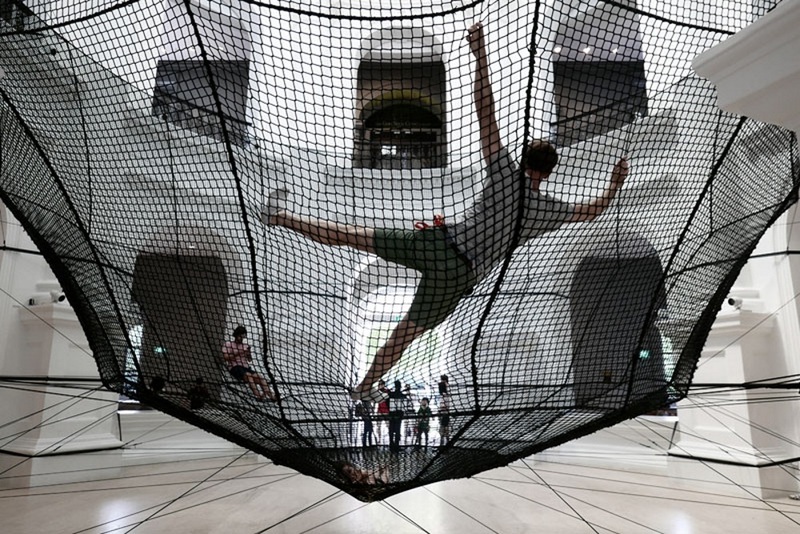 According to Paris architecture studio Atelier YokYok, you create a massive net for kids and adults in which to play. Spanning a total of 2152 square feet, the net was positioned inside the museum’s rotunda space. Atelier YokYok built the net offsite before installing it inside the museum, which took five days in total. The structure was an appropriate addition to the museum as the theme for this year’s Children’s Season focuses on the connections children experience, with friends, family, monuments and memories. The net will remain inside of the rotunda until the end of July.